Here at The Oxbow we take the outdoors seriously, and we hope you do too. Sure, our indoor spaces and courtyard host a lot of action you won’t want to miss, but our big goal while you’re here is getting you outside to truly enjoy the rich landscape of this city. 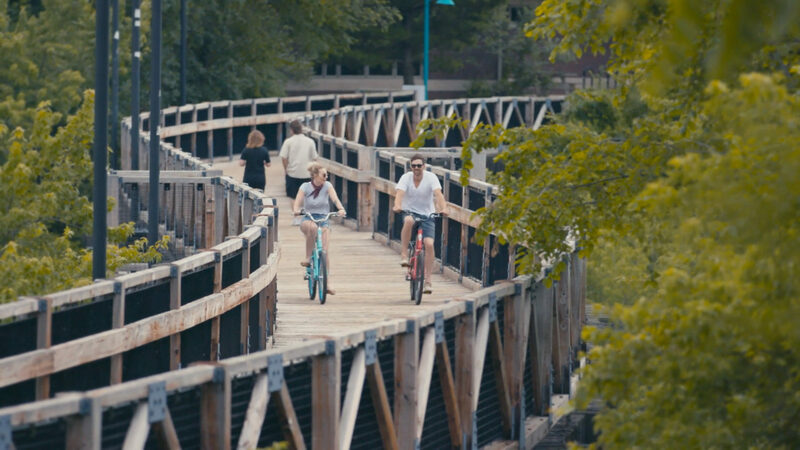 We’re talking 32 miles of beautiful, paved bike trails (in the city alone), two gorgeous rivers, and a gleaming oxbow lake. At some point during your visit, we want you out on those trails and out on the water, seeing our beautiful city up close. Included with your stay is full access to our fleet of bicycles (singles, a tandem, and a burley) free of charge, first come first served. 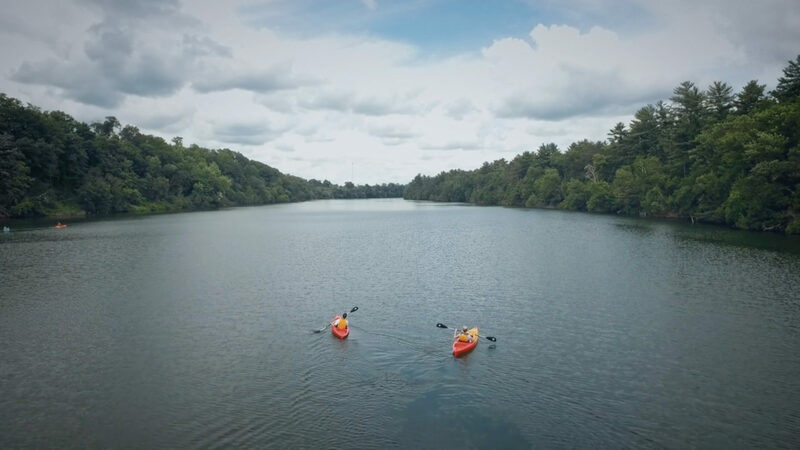 Additionally, on weekends you may sign up through the front desk for two-hour kayak or canoe paddles down the beautiful Eau Claire river just feet from our front door. The trip is affordable and highly accessible for beginners. 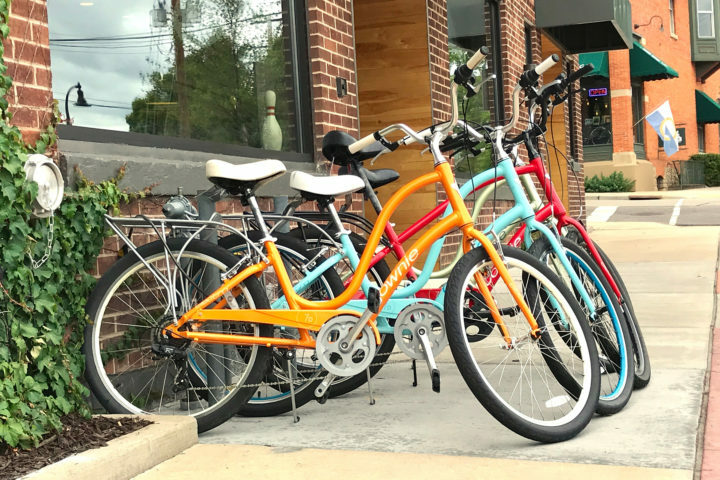 Our partners at Riverside Bike & Skate will pick you up and get you from point A to point B and show you what to do. Contact us for details or questions on borrowing outdoor gear, or to reserve something ahead of time to make sure it’ll be available.